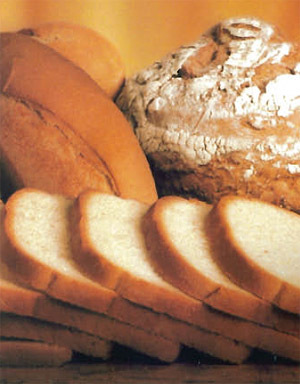 Kurz "The Good Bread Company" is a family-owned Texas corporation specializing in the delivery of fresh bread, buns, tortillas and bakery products to large institutional customers across Texas. Great expansion was achieved in 2004 when we entered into an agreement with the HEB Bakeries in Houston and Corpus Christi, Texas to produce bakery goods for us. Our expansion continued to flourish in 2005 when we added New Southwest Baking of Bryan, Texas as an additional supplier. Kurz has distribution centers in Houston, Dallas, and San Antonio with route service to over 2,000 schools in 130 districts. We proudly list Chick-fil-A, Minute Maid Park, Reliant Stadium, ARAMARK, Dean's Foods, Performance Food Group, and SYSCO among our food service customers. Our Correctional Division provides service to the Harris County Jail System and the Texas Department of Criminal Justice, as well as numerous United States Federal Detention Centers located in Houston, Bryan, San Antonio, Corpus Christi, and Central Texas. Our management and sales team is comprised of experienced sales and delivery staff with over 125 years combined DSD service to restaurant customers. Our three bakeries are state of the art and fully automated, producing goods for some of the largest bread and bun users in the industry. We take great pride in our ability to yield quality products with customer specific service.